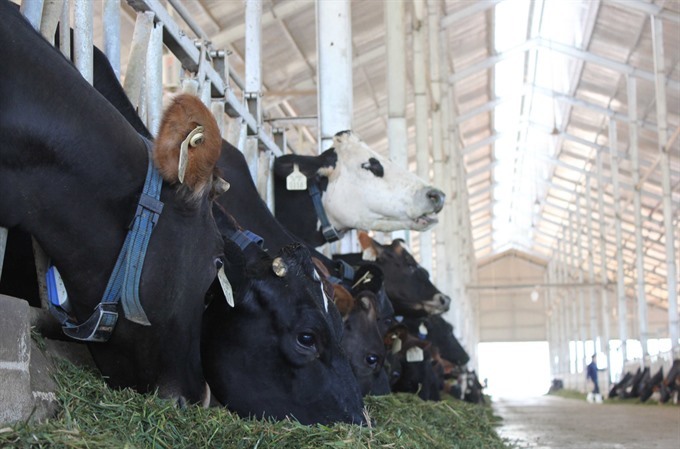 HÀ NỘI — The domestic dairy industry will face competitive pressure this year due to the Comprehensive and Progressive Agreement for Trans-Pacific Partnership (CPTPP), according to a report of the Rồng Việt Securities Company (VDSC). The VDSC believes that Việt Nam’s dairy brands will face fierce competition from foreign brands because when the CPTPP came into effect in Việt Nam on January 14, import tariffs on dairy products from New Zealand, Singapore and Japan were cut to zero, making these product lines more competitive. However, the current high-end product line still accounts for just a small proportion of the total milk supply in Việt Nam. As much as 70 per cent of milk on the domestic market is traditional reconstituted milk with much lower nutritional value than fresh milk. It said the long-term growth trend of the dairy industry is still positive. Milk consumption per capita in Việt Nam is still at low of 26 litres per person per year compared to other countries in the region, such as 35 litres in Thailand and 45 litres in Singapore. To meet higher future demand, dairy processing enterprises in Việt Nam have expanded dairy farms to increase milk supplies. Under CPTPP, Japan will have more access to Việt Nam’s dairy market in the coming years. Shoyama Katsuo, chairman of Asahi Group Foods, said Việt Nam is a potential market so his group plans to bring more its products to the local market under this joint venture. Other global dairy brands that entered Việt Nam’s market many years ago such as Abbott, Friesland Campina, Mead Johnson, Nestle and some small milk brands, have promoted investment in marketing, research and development of new products for the local market.